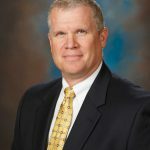 (Fairfax, Virginia) - The National Wireless Safety Alliance (NWSA) announced today that Jim Coleman, National Tower Safety Manager at AT&T, and Paul Roberts, Vice President of Compliance at American Tower Corporation, have been appointed to serve as Chairman and Vice Chairman respectively, of the organization’s Board of Governors. NWSA also announced that J. John Barker, Partner of Barker MacEntee PLLC, Richard Cullum, Director of Safety at Crown Castle, and Nick Wilkerson, Director of Safety at SBA Communications Corporation, have been added as new members of the Alliance’s Board of Governors. Additionally, NWSA announced that five incumbent Governors were recently ratified by the organization’s Board of Directors to serve a new 5-year term through October 31, 2023. The reappointed Governors include Chris Mallon, TowerMRL, Inc, Kevin Schmidt, Sioux Falls Tower & Communications, Jose Tarafa, MasTec Network Solutions, Gary Trent, US Cellular and Jocko Vermillion, CITCA. “NWSA is excited to have both Jim and Paul serve in their new leadership roles with the Board of Governors and we are also thrilled to add the talents of Jay, Richard and Nick as Governors,” said Executive Director Duane MacEntee. “Additionally, the ratification of the five incumbent Governors to serve another 5-year term will help provide continuity at a critical time in order for NWSA to continue developing and offering our national, portable and independent worker certification programs,” added MacEntee. NWSA currently offers two industry-wide certification programs: Telecommunications Tower Technician 1 (TTT-1) and Telecommunications Tower Technician 2 (TTT-2). Additionally, the NWSA Telecommunication Tower Foreman certification is slated to be unveiled during the first quarter of 2019. This new certification will create a credentialing system for industry workers who supervise crews that work on communications structures, whether they are antenna and line crews, construction crews, or structural modification crews. Industry workers, companies and stakeholders are encouraged to visit the NWSA website at http://www.nws-a.org to learn more about the organization and how to begin the process of obtaining certification. Jim Coleman serves as the Vice President of the Tower Industry Family Support Charitable Foundation. He has over 40 years of experience working in the tower construction/maintenance industry and holds a General Radio License. Use of his expertise and knowledge has been sought by many attorneys as Jim has worked with various legal firms. He has been retained on numerous occasions as an expert witness for litigation procedures and counsel on tower safety issues. Currently, Jim serves on NATE’s OSHA Relations Committee. He has attended the United States Department of Labor Trainer Course in OSHA Standards for Construction and holds Certification for the 500, 501 and 502 Courses. 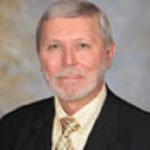 Jim is an active member of the Society of Broadcast Engineers (SBE), a Professional Member of the American Society of Safety Professionals (ASSP) and a founding member of the Alabama Wireless Association (AWA). 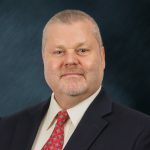 He is a member of the National Wireless Safety Alliance (NWSA) where he serves as Chairman of the Foreman Task Force Committee, as well as a member of the Telecommunications Industry Registered Apprenticeship Program (TIRAP) working group. 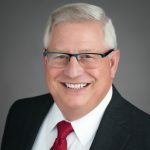 Additionally, He served as a member of the A10.48 Communication Tower Committee developing the new tower standard, as well as serving as past committee member for the NATE/OSHA National Partnership. 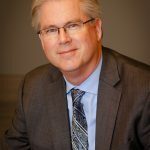 In 2004, he was elected to serve on the Board of Directors for the National Association of Tower Erectors (NATE) and was elected by his peers to serve as Chairman of the Board from 2009 – 2013. Jim currently serves as the National Tower Safety Manager for AT&T. Paul Roberts is the Vice President of Compliance for American Tower Corporation. In this role, Mr. Roberts guides the Environmental Compliance, FAA/FCC Regulatory Compliance, Safety and Health initiatives of the company as well as regulatory advocacy. Mr. Roberts is actively involved in advocacy efforts across all federal agencies that both regulate and support the telecommunications industry and has been a key voice in helping to shape rulemakings that affect us all. With 15 years managing telecom regulatory operations rooted in legal, systems safety and quality engineering principles, Mr. Roberts brings valuable insight and perspectives that will contribute to the NWSA mission. Mr. Barker has over twenty years of telecommunications industry experience having served in executive legal and risk management capacities at tower and construction companies and in the private practice of law. Mr. Barker has an extensive background in construction, safety, vendor management, and risk management. Mr. Barker holds a B.A. in Communications from the University of Central Florida and a J.D. from the Thomas M. Cooley Law School at Western Michigan University. Richard Cullum is the Director of Safety for Crown Castle USA Inc. In his role, Mr. Cullum is responsible for developing standards related to increased worker safety and quality of tower maintenance and condition assessments, construction and maintenance repairs. Mr. Cullum has extensive field experience in tower construction, TIA (Telecommunications Industry Association) maintenance and condition assessments, tower and site engineering, wire rope safety climbs, climbing facilities, maintenance and repair and has worked in various aspects of the tower industry for the past twenty-eight years. Mr. Cullum is a licensed Professional Engineer, Certified Weld Inspector and holds General Contractor licenses in multiple states. Nick Wilkerson is the Director of Safety for SBA Communications Corporation’s domestic and international operations. He received a Bachelor’s of Science degree in Fire & Safety Engineering with an emphasis in Risk Management from Eastern Kentucky University. He is Certified Safety Professional and has over 20 years of safety experience with 9 years in the tower/wireless industry.